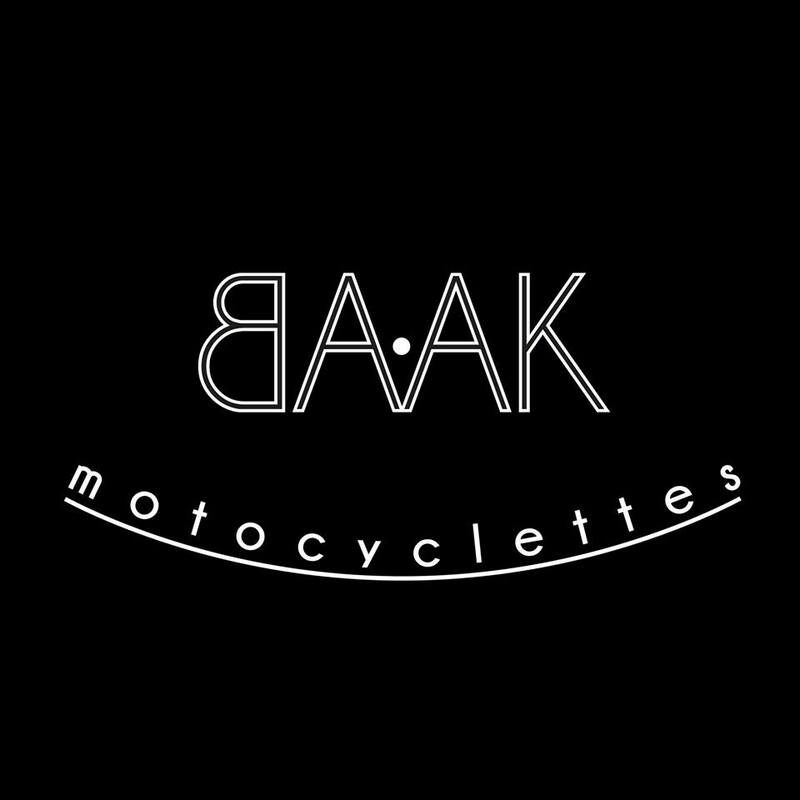 BAAK Motocyclettes is a french motorcycle creation workshop based in Lyon, moved by the expertise of four creators passionate about distinguished mechanics. 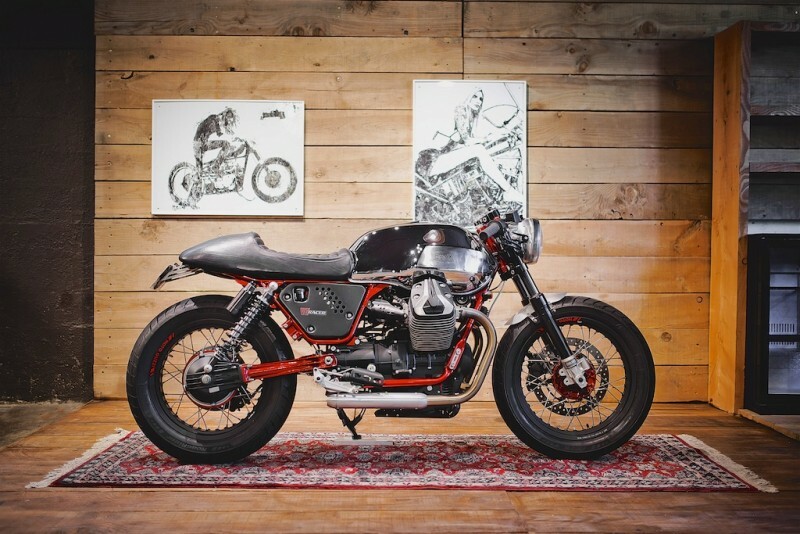 The workshop’s activity is built around the realization of full custom projects and the creation of motorcycle accessories. 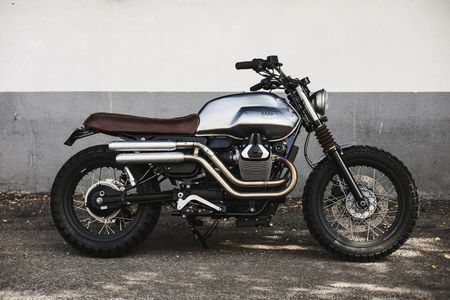 We are specialized on Triumph, Moto Guzzi and Royal Enfield, and try to create harmonious and uniform result, without distorting the original style of the machines entrusted to us. 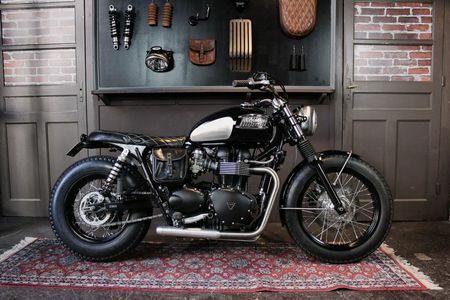 Our work leads us to improve the aesthetics of these bikes, but also the riding pleasure it provides. 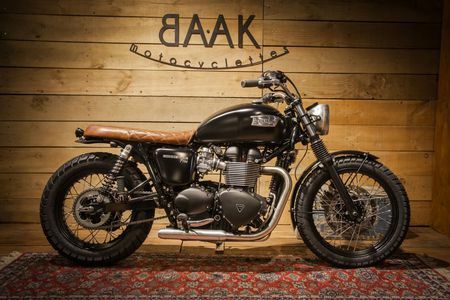 We translate this willpower by provide high quality accessories, handcrafted so you can assemble it easily on your bike without imposing irreversible changes that would lose value to your bike. 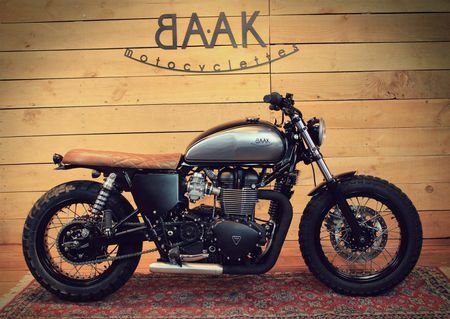 BAAK Motocyclettes presents you his luxury version of the V7 Racer. 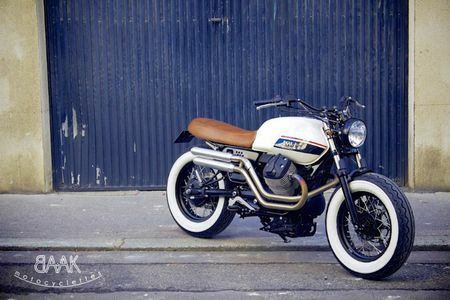 Its transalpines genes provided and ideal base for a custom cafe racer project. A big concern finish was completed, without altering his unique style. Cylinder head cover painted black with satin brushing and specially machined stainless steel screws. It's possible to replace the Öhlins Black Edition fork with an original one, the final price of the motorbike will be 14000€. 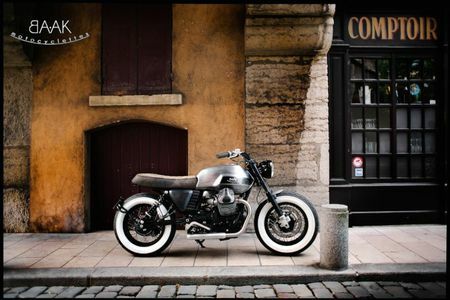 DELIVERY POSSIBLE IN ALL FRANCE AND WORLDWIDE. TWO TO THREE MONTHS OF MANUFACTURING.